Julian Pavone might only be 7 years old but the Guinness Book of World Records has just declared him, “Youngest Professional Drummer”. This pint-size tub-slapper has already been on talk shows like Good Morning America, Oprah Winfrey and Inside Edition. To qualify for the Guinness record Julian had to receive payment for performing on a commercial record as well as playing at least 20 live performances in five years. 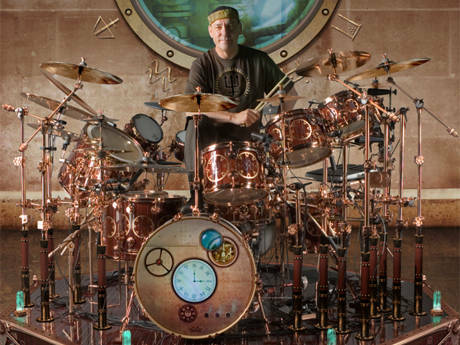 I never get tired of looking at Neil Peart’s drumsets. Check out this monstrosity! 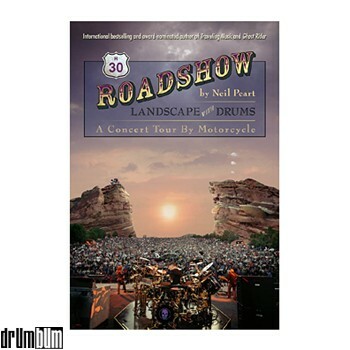 Neil Peart lovers will appreciate this hardcover book where Neil covers the worlds landscape on his motorcycle during Rush’s 2004 world tour. 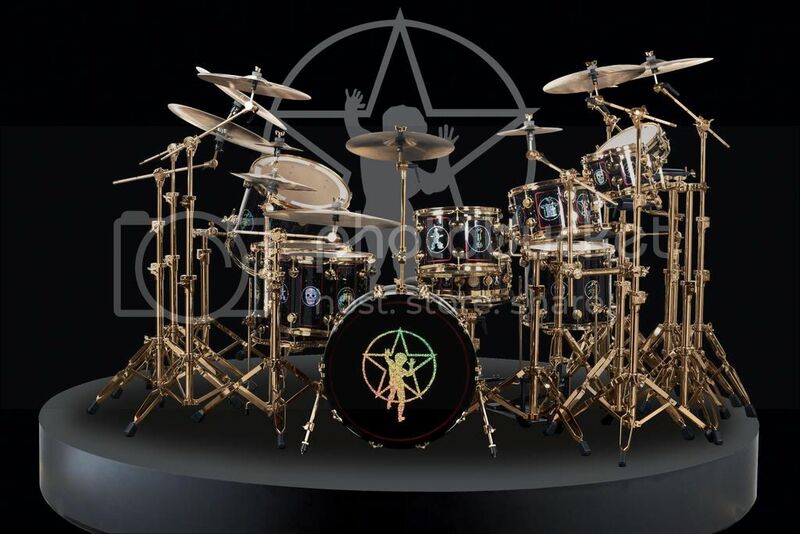 This is one of the more impressive drumsets I’ve seen in a long time. This is Neil Peart’s drumset in all its glory. What a mish-mash of acoustic drums, electronic drums, mallet percussion, gadgets, and of course gold hardware throughout. He’s a lucky man!